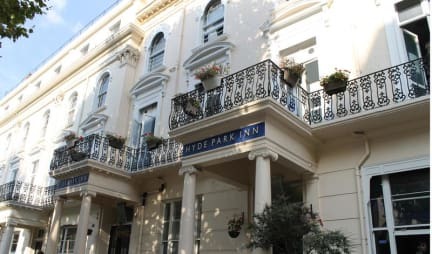 Smart Hyde Park Inn Hostel is perfectly located in the heart of Central London, created with the traveler on a budget in mind. Located just off London’s and Europe’s most popular shopping areas, Portobello Market, Knightsbridge and Oxford Street, we are less than 100 meters from Hyde Park. Every room is key card locked as is entry to the main part of the building, security lockers in every room. 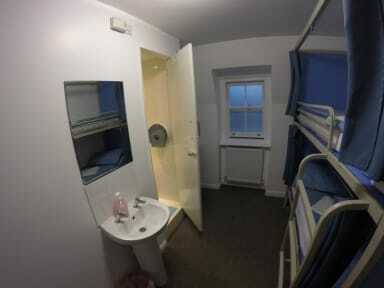 The hostel is one of the best in London. I had an amazing stay. It's near the subway and the busstops, Hyde Park is right across the hostel. At the end of the street (50m walk), you have a lot of supermarkets, shops, bars and restaurants. The staff is really friendly and the atmosphere was good. You can sit outside at the tables aswell as inside in the common room. There was breakfast served every morning. The reason I didn't gave the hostel a 10 is because of the showers, which need an update. Prima hostel, meer een soort hotel. Wel vervelend om er te koken, aangezien er maar 4 pitten zijn en een wasbak, waardoor je met max 2 personen kunt koken. Ook was er bijna geen bestek en borden. Je kunt niet betalen met maestro, dus moet je eerst cash pinnen (kan wel in het hostel zelf). Ontbijt is prima, maar niet echt veel keuze. Wordt elke dag schoon gemaakt, dat kun je ook zien. The rooms are really small, there isn't even enough place to store your luggage and there isn't a lot of place to sit as well. It's also weird that I have to pay to store my luggage, even if it's just for an hour. When I stayed there, the door from the street to the basement was open, so everyone could come in which felt really unsafe Besides that, the location is great. Bad roommate experience. Lack of AC. Lack of open space. Lack of lifts.